I moved to Amherst with my partner Carol and our son, Jesse, twenty-five years ago for two very important reasons, the quality of the Amherst Public Schools and our desire to live in a diverse and collaborative community – the Pomeroy Lane Cooperative, which had been conceived by ABODES, whose members were parents of adult children with cognitive and physical challenges. We were ordinary people embarking on an extraordinary adventure. Our family, along with 24 other families moved into Pomeroy Lane Coop. We were intentionally diverse – We were households labeled low-income, Section 8, and market rate. We were Asian American, Latinex, African America, and European American. We were gay and straight. We were at varying degrees of understanding about issues of social, economic, and environmental justice. Along the way we changed. The assumptions we held about each were blown apart and we started to see the strength and creativity inherent in our community. We learned to see and acknowledge our differences and to find ways to collaboratively solve the problems that arose. This experience, this community, showed me what Amherst could be. It provided lessons I have carried forward into my work as a teacher, an activist, a member of Town Meeting, and now as a council candidate. We face a variety of issues as a town. Perhaps the most challenging being the divisions that have occurred over our schools, our form of government, and who gets heard – divides that need to be bridged. As candidates, we talk but we need to start listening. We talk about appropriate development, sustainability, social justice, funding capital projects, and preserving the character of our town, but we often mean very different things. We need to find what binds us and build outward from there. How do I look at the challenges we are facing as a town? What values support my decision making and ability to collaborate with other councilors? I want to look at economic and development issues, create policies and practices that foster sustainability and focus on the quality of our schools while balancing issues of economic, environmental, and social justice. All voices need to be heard, this is one of the most important lessons I learned while living in the Pomeroy Lane Coop and also as a classroom teacher. All ideas need to be considered, researched, analyzed, and reconsidered. I expect to be actively involved in using citizen advisory groups composed of the people who would be most impacted by our decisions and other stakeholders. The goal of the advisory committees would be to truly reflect the values and meet the needs of the community we serve. Our Schools Jesse went through the schools, finding himself challenged, listened to, and taken seriously, which was not the case for all of his classmates. As a teacher and learner, I care deeply about our schools – the educational, emotional, and physical spaces where our children learn. I support schools where students and parents are known by teachers and administrators. Schools where the color of a student’s skin doesn’t determine the severity of discipline or where the color of a parent’s skin doesn’t determine if they are welcome on school grounds. I plan to meet with students and parents, school committee members, teachers and administrators, so that a clearer understanding of what is needed in our school communities can drive what we provide. What I will bring to the Council is curiosity, a willingness to research issues in multiple ways, and a real belief in collaboration across differences. 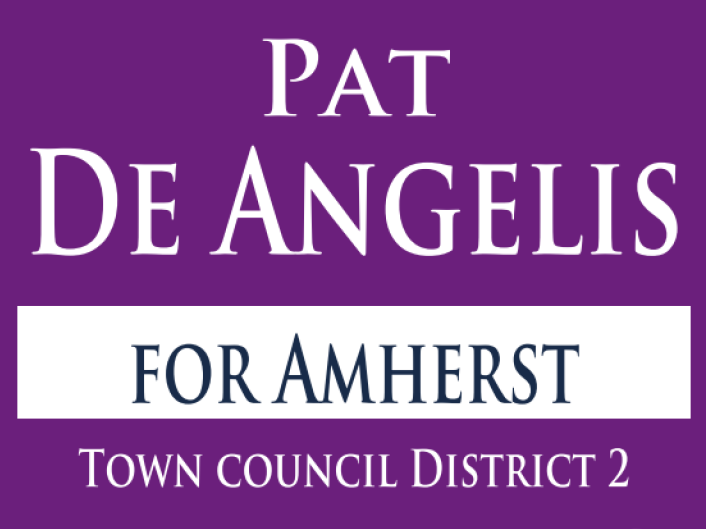 I am a person of integrity and determination who will foster progressive change in Amherst, change that rests on the best of what we have already created and on the ways we are growing and challenging our community.